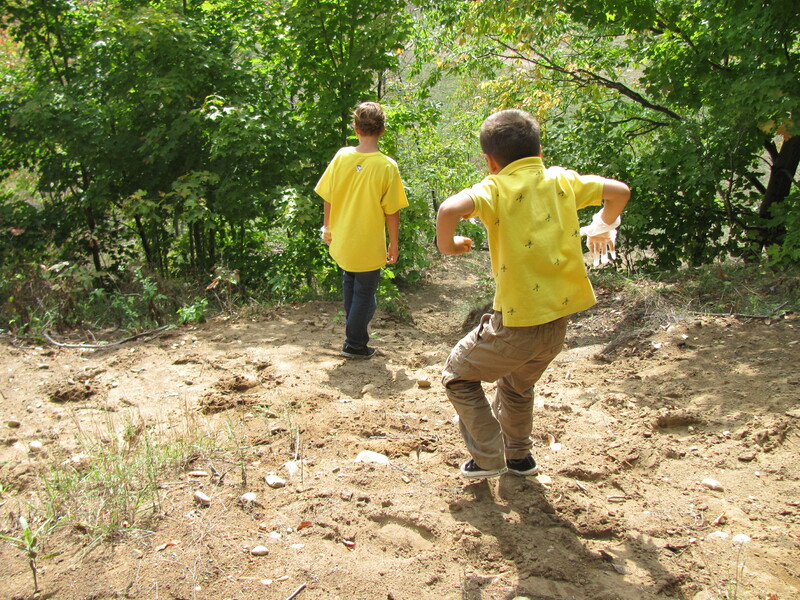 This week, the Grade 6 students met with their Grade 1 Science Buddies twice, to conduct field observations. 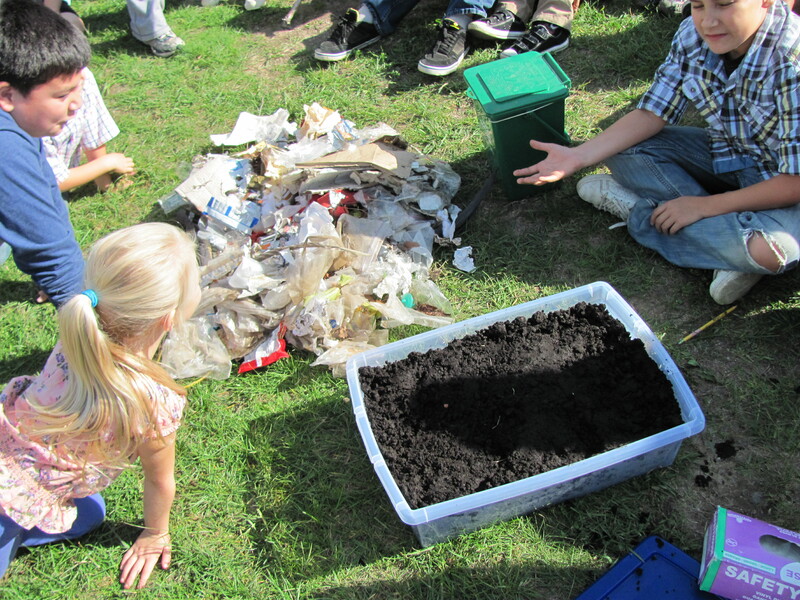 On Tuesday, we we began an experiment to find out what types of waste items break down into soil fastest and slowest, in a garbage dump. 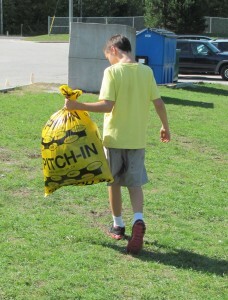 We donned germ-proof gloves and picked up trash from the lower field and "bush" area of the schoolyard. Next we met as a group to inventory the trash we had collected. 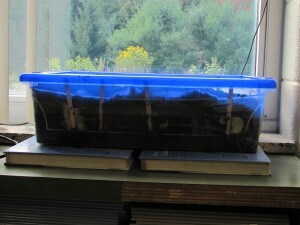 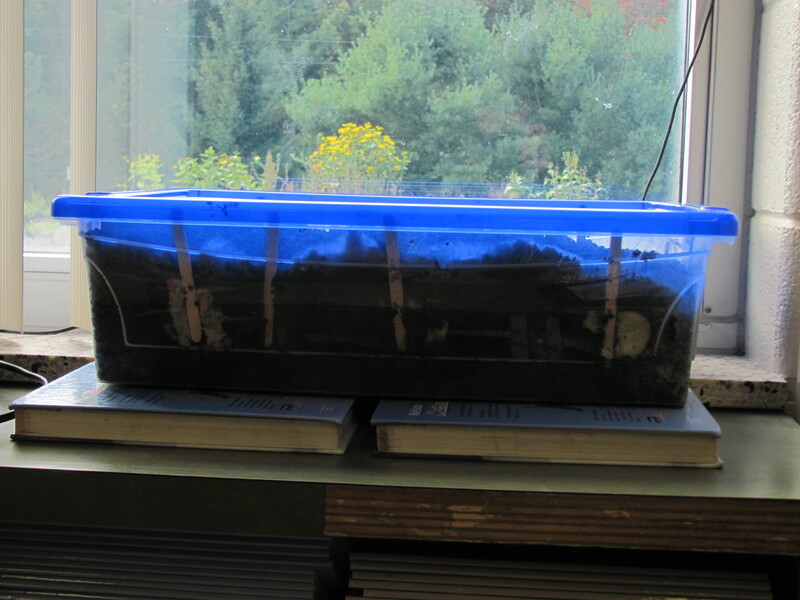 We chose a variety of items and buried them in soil around the edge of a plastic container. 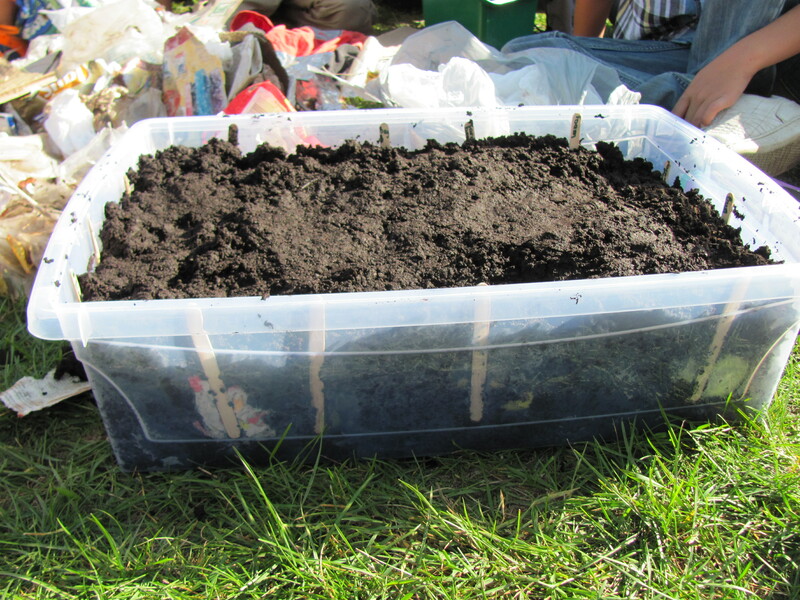 We labelled each buried item with a popsicle stick. 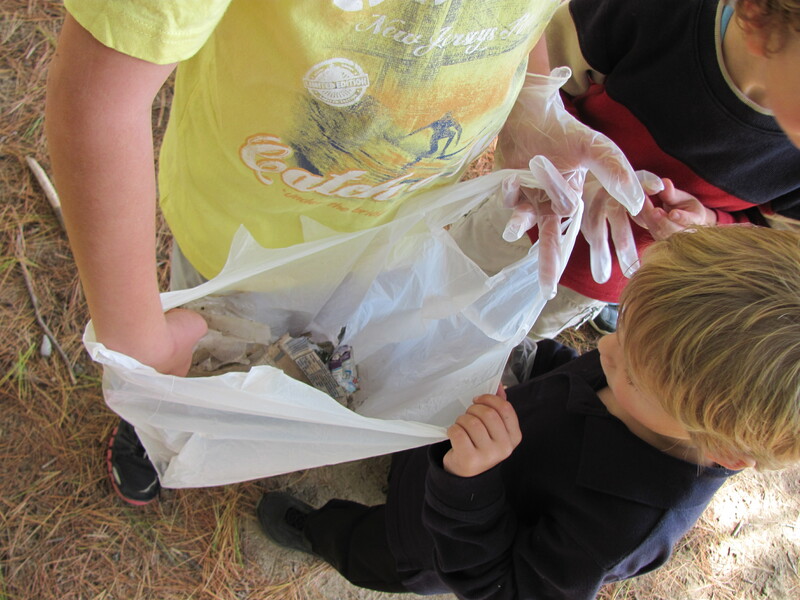 Then we disposed of the trash we collected in the schoolyard and took our "classroom landfill project" indoors. 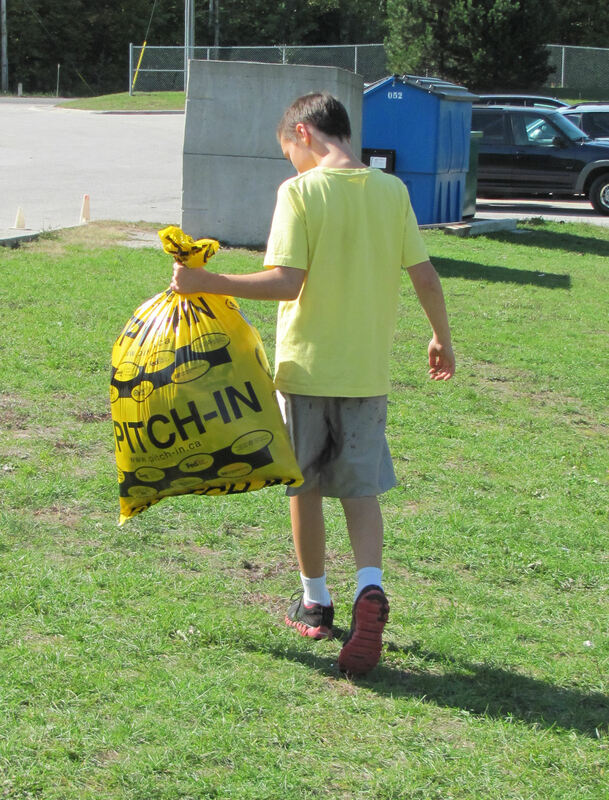 Over the coming months, we will revisit our project from time-to-time to see what items are disintegrating and what items are not. 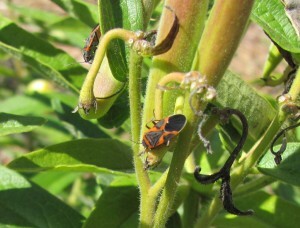 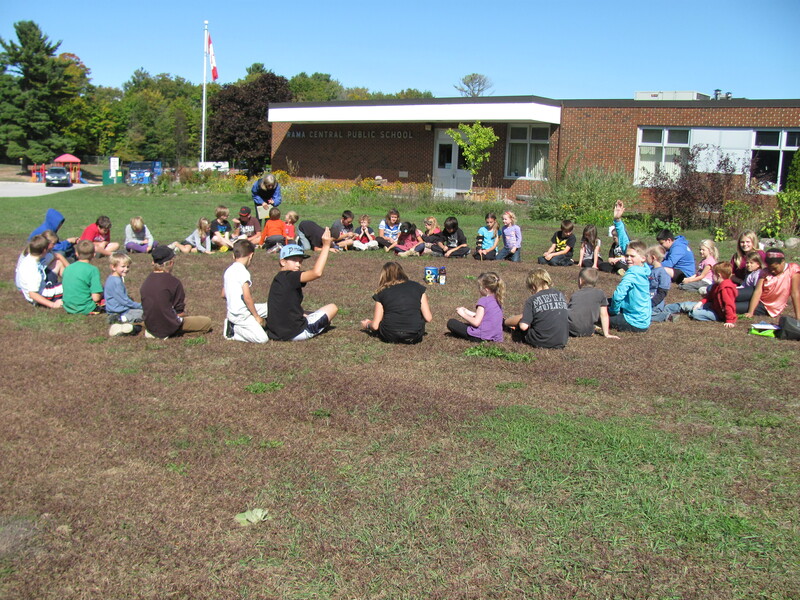 On Wednesday, we met on the front lawn of the school to discuss the role of pollinators in our environment. 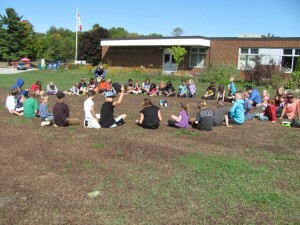 The Grade 6 students did a great job role-playing various types of pollinators and the Grade 1's had fun guessing who they were. 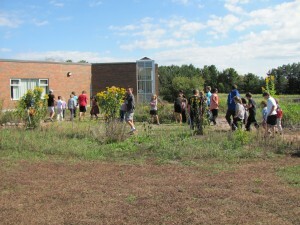 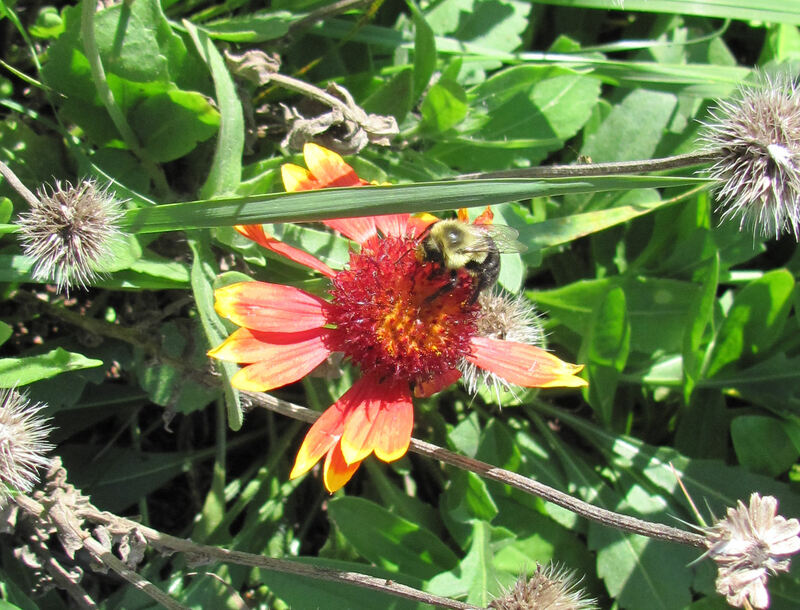 Afterwards, we went on a "pollinator safari" in the school's Pollination Garden. We saw moths, bees, wasps, beetles and a grasshopper. 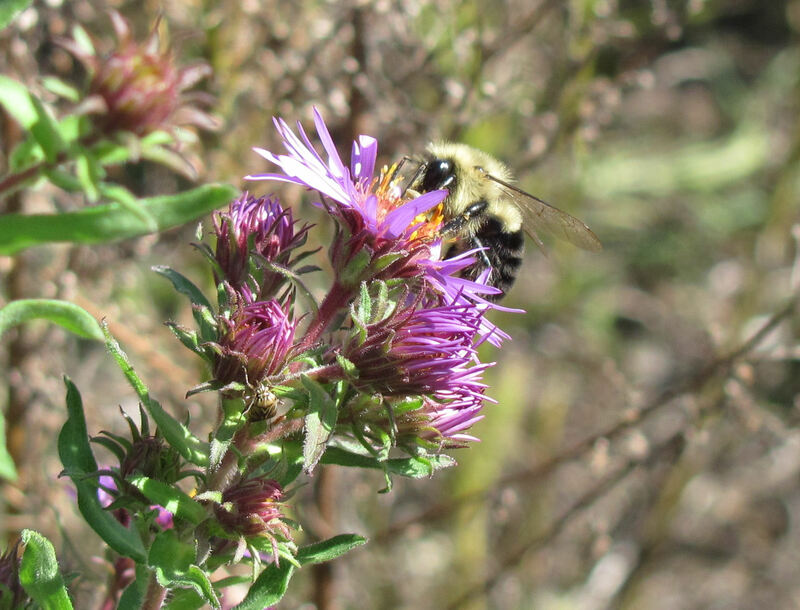 The bumble bees were actively moving from flower to flower, drinking nectar and spreading pollen! 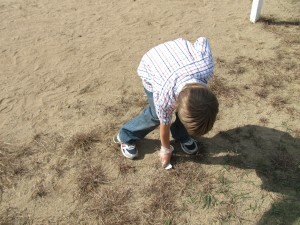 Next article: Daily Five Reading Program in Action!